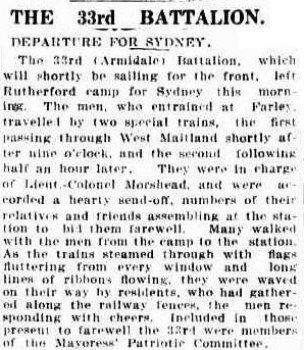 Today marks the centenary of the departure of the 33rd Battalion from the Rutherford Camp for Sydney and embarkation on the transport ship HMAT Marathon for England. 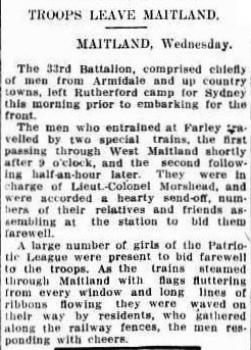 Many Inverell district men were in this Battalion formed at Armidale Showground in 1916. Most of the Kurrajong men left Australia on this ship. 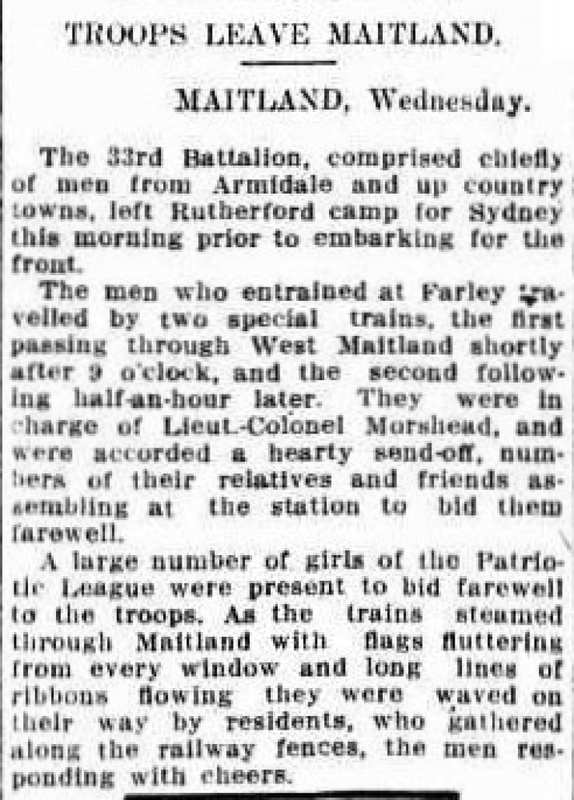 The following newspaper articles describe their departure, the first is from the Mailtand Mercury, 3 May 1916, the second is from the Tamworth Daily Observer, 5th May 1916. 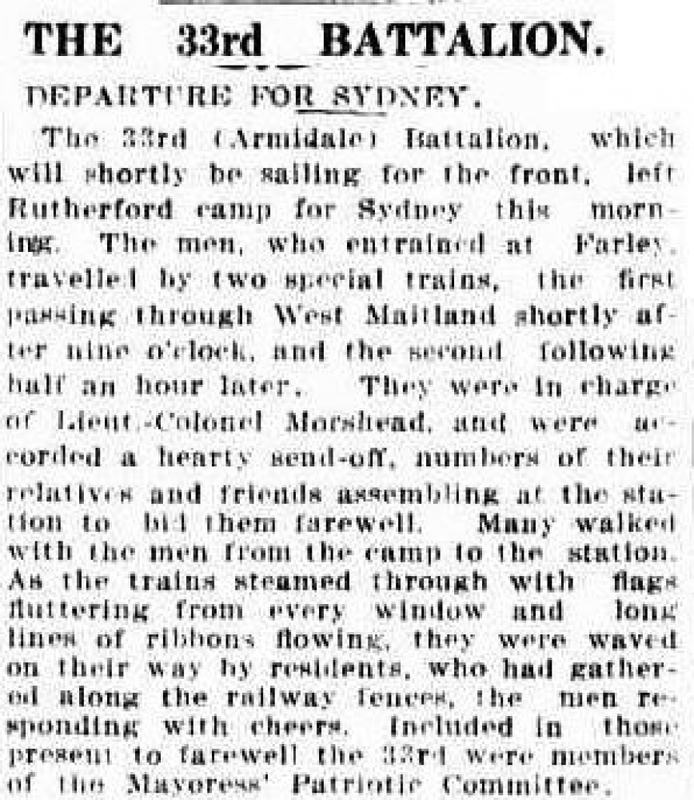 Both images courtesy of the National Library of Australia's, Trove online Newspapers.